In two words, ‘Spread Love’. We’ve taken our passion for music and combined it with our eagerness to help emerging talents get noticed. Main Course is our platform. All our releases are simply two tracks, and offered free to those that will listen. And we hope you do listen. We’re not about carving a niche, or building a distinct sound, we simply believe in getting good music heard, regardless of genre. We offer our releases for free via our targeted PR campaigns, and distribute them through our network of affiliates and supporters with a goal of maximum impact for all artists involved. We do also offer these releases for sale on Beatport, iTunes and other fine digital retailers, because artists need to live too, and those that want to support, generally do. It’s an ambitious project, we realize. But we feel there is a better way to distribute music and feature artists in this digital age. I know it’s a lot to take it, so save room for Main Course. Yesterday, they released ‘Snacks, Vol. 1’ which they worked with a lot of different people to get this out there and messed around with a lot of different genres. This is different from the usual stuff that is on here, but it definitely belongs. Check it out below. Welcome to the first full length release from Main Course. 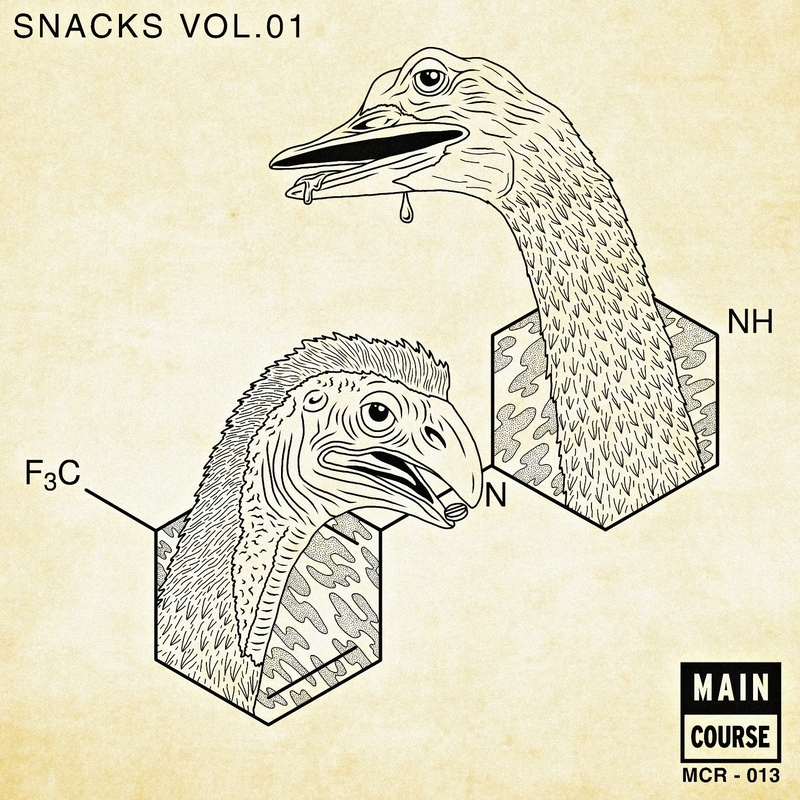 Snacks Volume One is a collection of tracks from artists around the world who have prepared ‘A Little of this, a little of that’ for the potluck, which spans multiple genres, as we’ve never been picky eaters. Main Course ambassadors Astronomar & Bot bring the riotous club smashers with their collaboration ‘Ghettbox’ and Bot’s solo smash ‘Barefoot’ proves a flute CAN make the club go mad! The Netherlands Jeff Doubleu takes us to Dubai with a modern day jack groove, and Stoltenhoff’s first release, ‘Clubby Woodpecker’ is catching heavy supports from Diplo & BBC Radio 1. Major Lazer collaborator FS Green delivers a spastik, boombastic trap track, complete with mumbling babies and 808’s. Wuki brings the bass, and simultaneously calls those out with the ‘Same Damn Sound’. Douster douses some acid on us, with throwback party jam ‘To The Bone’, while Wax Romeo keeps it ever so classy with ‘If you Say’. Baltimore’s Say Wut tag teams with Finland’s Sharkslayer on The Buckhorn, a hyper club with driving horns. Vancouver band The Slow Waves wrap it up on a smooth note, with the lush ‘Desires’ – they haunt us, too. One thing is for certain, all that snacking certainly won’t ruin your meal. It is available to purchase and for free. I recommend supporting them, but it is up to you.